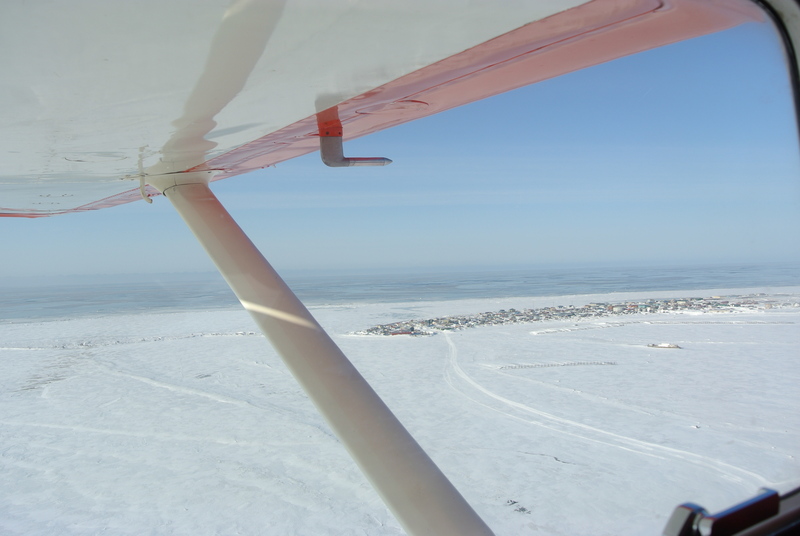 I flew into Unalakleet (You na la kleet) from Anvik with Pilot Diana on an unusually clear, crisp day. With blue skies and no clouds, I was able to see for miles up the Yukon River. Once we landed and unloaded, I walked from the airport to the checkpoint. After a few wrong turns and getting directions from friendly people, I found my way to the checkpoint. Now familiar faces greeted me here and a moose burger (yes, moose burger) was put in my hands. I couldn’t sit for long because I felt I needed to take advantage of the beautiful day. After visiting with some of the mushers and dogs that are currently in the Unalakleet checkpoint, I took a walk up the Iditarod Trail towards Norton Sound that leads out to the Bering Sea. Wow! I think I need to write that sentence again to make sure it really happened. I took a walk up the Iditarod Trail towards Norton Sound that leads out to the Bering Sea. 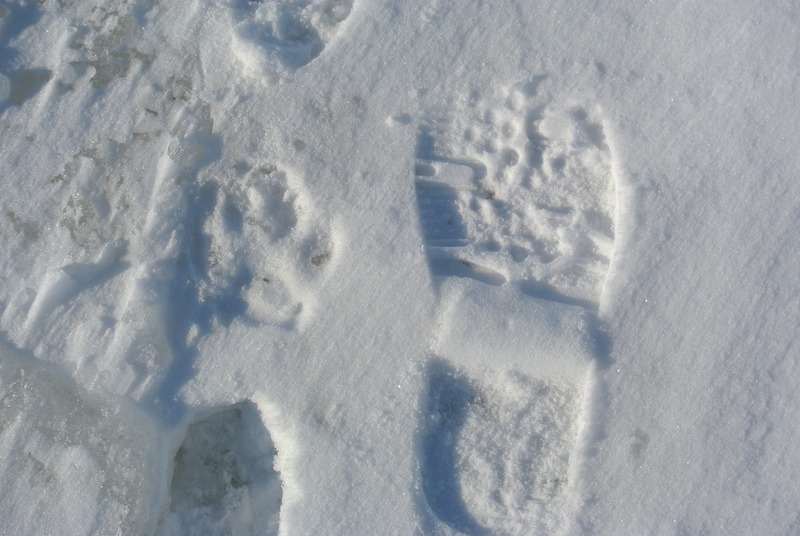 Coming back toward the checkpoint, I followed the trail for a while and found a paw print that made me marvel. This paw has been 700 miles – my footprint is bigger, but it somehow feels small in comparison. 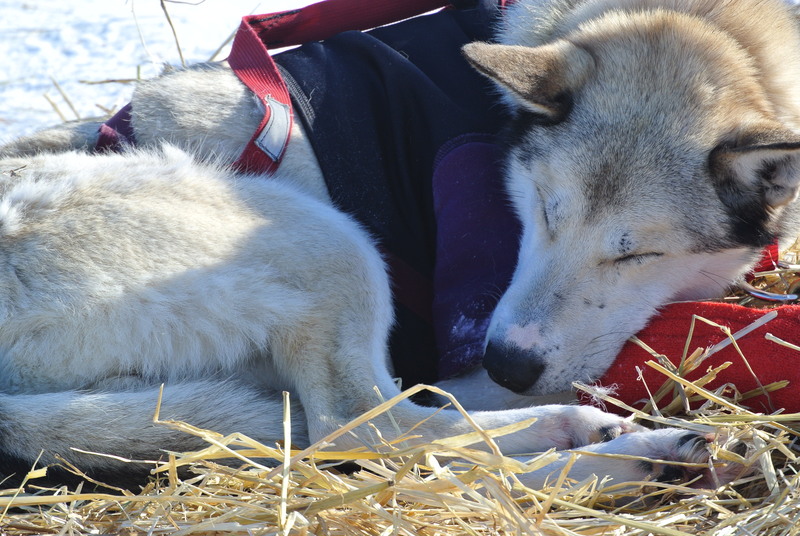 When I came back into the checkpoint, I found myself alone with empty sleds and 44 sleeping dogs. There wasn’t a sound. Dogs have had all their needs met: food, water, straw, exercise, and a thorough vet check. This is an impressive race, not only due to the volunteer force that makes it run, but the canine athletes who run this distance with wagging tails and happy faces. 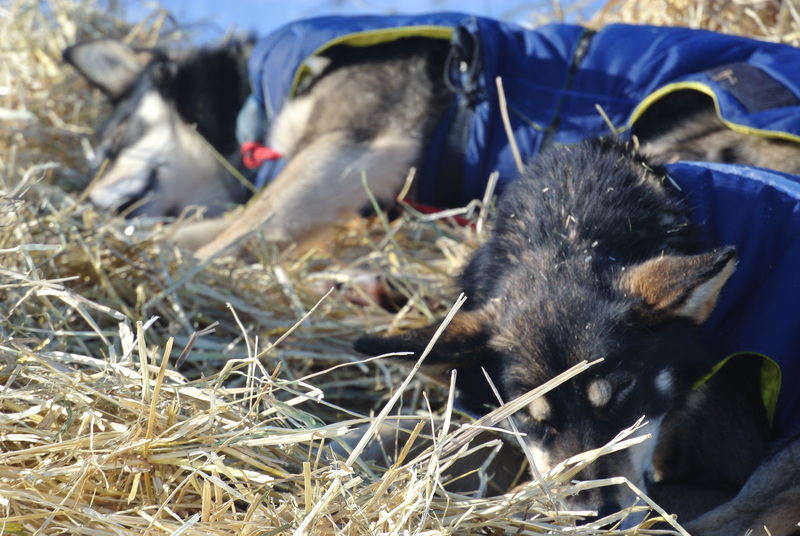 Right now some of them are sleeping, but soon they’ll be back on the trail headed for Nome.